Lawndale Pet Hospital’s staff and veterinarians are also pet owners and have experienced the loss of their own pets. Knowing the difficult decisions in end-of-life pet care and stresses that can compound grief, we determined to take additional steps to ensure pets and the families that love them have compassionate support. Making the decision to euthanize is never easy. We understand that it is a personal decision and there is no right or wrong way to determine the appropriate time to say goodbye. We can be too emotionally involved and subjective to easily make a clear decision. The following Quality of Life Assessment System is a means designed to help you make a more objective evaluation. If it is feasible, we suggest filling this scale out three times, on three successive days, to get a more accurate appraisal. Pet caregivers can use this Quality of Life Scale to determine the success of hospice care. Score patients using a scale of 0 to 10 (10 being ideal). 0 – 10 HURT — Adequate pain control and breathing ability is of top concern. Trouble breathing outweighs all concerns. Is the pet’s pain well managed? Can the pet breathe properly? Is oxygen supplementation necessary? 0 – 10 HUNGER — Is the pet eating enough? Does hand feeding help? Does the pet need a feeding tube? 0 – 10 HYDRATION — Is the pet dehydrated? For patients not drinking enough water, use subcutaneous fluids daily or twice daily to supplement fluid intake. 0 – 10 HYGIENE — The pet should be brushed and cleaned, particularly after eliminations. Avoid pressure sores with soft bedding and keep all wounds clean. 0 – 10 HAPPINESS — Does the pet express joy and interest? Is the pet responsive to family, toys, etc.? Is the pet depressed, lonely, anxious, bored, or afraid? Can the pet’s bed be moved to be close to family activities? 0 – 10 MORE GOOD DAYS THAN BAD — When bad days outnumber good days, quality of life might be too compromised. When a healthy human – animal bond is no longer possible, the caregiver must be made aware that the end is near. The decision for euthanasia needs to be made if the pet is suffering. If death comes peacefully and painlessly at home, that is OK.
Is in-home euthanasia the best choice for my pet? Just as deciding on the timing of euthanasia, the location is also a very personal decision to be made. Some prefer the hospital setting, finding that it helps them to separate the event from the home space or because small children in the home would have a harder time processing the pet’s loss. Moving the pet caused him or her significant pain. The size of the pet made transportation difficult. The pet owner was unable to travel. The pet was more relaxed in his or her home environment. The family was more able to gather around the pet in support. No matter your reasoning, our staff and veterinarians are willing to make the necessary arrangements to allow for a dignified and comforting departure for your pet. Does Lawndale Pet Hospital offer cremation services? How do I handle the loss of my pet? 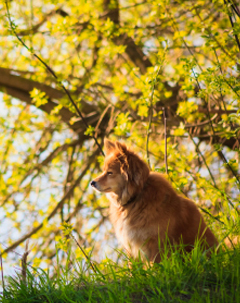 People grieve in many different ways and it is important that you to find the best way for you to memorialize your pet and find closure. On our pet loss page, you will find some resources we have developed that may help. If you need additional grief support, our veterinarians can also refer you to professionals in South Bay.